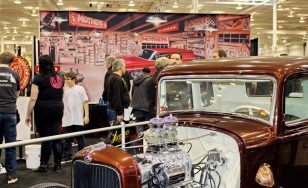 This year’s Motorama Custom Car & Motorsports Expo Presented by Mothers marks the third year in a row that Mothers Car Care Products has been the event’s most prominent partner. The show takes place March 9, 10 & 11 at Toronto’s International Centre. 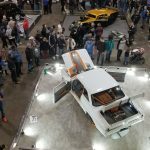 Motorama is a three-day celebration of cars and racing that brings together an impressive and exciting collection of hot rods, classic and custom cars, tuners, modifieds, rat rods and street rods. As always, motorsports will be a huge part of the show, with racing vehicles of all kinds featured throughout the 300,000-plus square-foot facility. In short, it’s a perfect venue for Mothers to showcase its impressive product line to over 30,000 automotive and racing enthusiasts who are also passionate about their own vehicles. World renowned as a leading developer and supplier of automotive car care products, Mothers made its Motorama debut in 2015 – as an exhibitor and prize supplier – before becoming the show’s presenting sponsor in 2016. 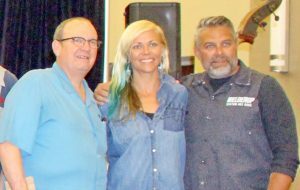 It’s been a long-running tradition, within the Mothers Car Care organization, to support and ‘give back’ to the hobby. 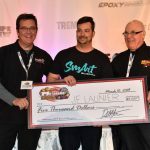 Perpetuating this practice, the California-based company will continue to present highly-coveted Mothers Gift Buckets – each filled with more than $250 in Mtech car care products – to show award winners. The Mtech line of products (Synthetic Wax, Wash & Wax, Instant Detailer, Interior Detailer and All-In-One Leather Care) was created in conjunction with Canadian Tire; the sole retailer of the Mtech product line in Canada. Although Mothers’ products are only available through licensed suppliers and will not be for sale at the show, Motorama showgoers visiting the Mothers Car Care Products booth will have the opportunity to view the full line of Mothers Car Care products, and can speak to the staff on hand. These individuals are trained Mothers representatives who will answer questions and offer advice and solutions to those who are interested in learning about products and procedures to keep their vehicles in top condition. 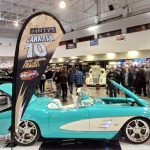 Reflecting on Mothers’ participation at the show, Motorama’s David Weber said, “We are extremely honoured that Mothers Car Care Products is returning for a third year as the show’s presenting sponsor and most prominent partner. This will be their fourth year giving Mothers Gift Buckets to the award winners, and the third year that the Mothers name has been part of the show’s title. ABOUT MOTHERS CAR CARE PRODUCTS: Started over 50 years ago in Southern California, Mothers has grown from humble beginnings into the premiere developer and supplier of automotive car care products in the world. Catering to the high-end, custom and exotic car enthusiast, Mothers has a product line of 70 unique cleaners, polishes and waxes available to the demanding car owner, as well as to the professional detailer. Visitors to their website (Mothers.com) can view their full product line, see How-To suggestions and videos, find a local retailer and make purchases from their e-Store. Mothers Car Care Products can be found at many Canadian retailers from coast-to-coast. 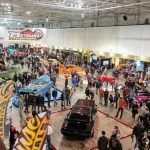 ABOUT THE MOTORAMA CUSTOM CAR & MOTORSPORTS EXPO: The fourth annual Motorama Custom Car & Motorsports Expo takes place March 9, 10 & 11, 2018 at The International Centre, across from Toronto’s Pearson International Airport. The show features more than 300,000 square feet of custom cars, hot rods, racing vehicles of all kinds, tuners, displays and exhibitors. Motorama is Canada’s biggest late-winter celebration of automobiles and motorsports. For information about the show, including tickets, sponsorship and exhibitor opportunities, and more, call (416) 962-7223, email info@MotoramaShow.com or visit www.MotoramaShow.com.